If you think the left lives by their own set of rules, while making up absurd ones for the rest of us, you’re not alone – and you’re absolutely right. Conservative organizations are attacked for their traditional views as progressives work to spread their agenda through deceitful propaganda. Now one left-wing organization seems to be coming apart at the seams, mainly because their contradictions and propaganda are catching up with them. 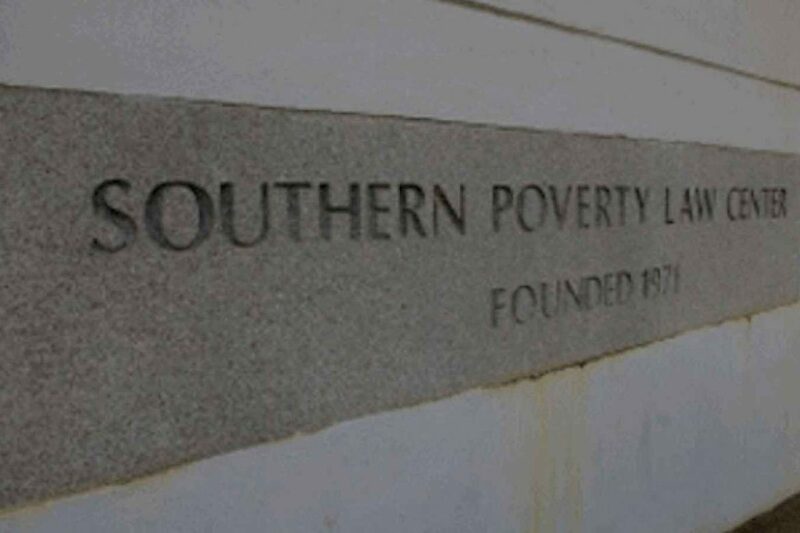 The Southern Poverty Law Center is one of the largest leftist organizations in the country. They have been around for decades and turn a hefty profit – despite being a “non-profit” organization — by labeling conservatives as hate-mongers, bigots, and worse. They are reported to have over a half-billion dollars in assets. Their mission is supposedly to fight for the rights of minorities, equality for women, and the needs of underprivileged communities, like prison inmates. But their recent focus has been helping the LGBT community, illegal immigrants, and others who feel that they should be considered a special class of citizens, not subject to the rules the rest of us have to follow. In the last month alone, however, they have experienced a sort of implosion within their ranks because of concern over the “conduct” of their top executives. And their conduct is in direct contrast to what the organization claims to stand for. In early March, the SPLC’s co-founder, Morris Dees, was fired for “unspecified” conduct issues. Though no one with the SPLC is directly commenting on Dees’ firing, former staffers have accused the 82-year-old of racism against African-Americans within the organization – this from someone who claimed to fight against white supremacism since 1971 when he helped start the group. And just last week, SPLC President Richard Cohen resigned amid rumors of sexual harassment of female employees – and retaliation within the workplace if they reported it. While Cohen has released statements taking full responsibility for accusations of racism and sexual harassment “under his watch,” specifics aren’t being released. Not surprising, since the recent claims offer the SPLC no leg to stand on for the causes they claim to support. One former SPLC staffer doesn’t seem to be having any more of the hypocrisy. He recounts how the majority of employees at the SPLC’s headquarters in Alabama are black, while upper-management is comprised of white men. It is even said that Morris Dees could have cared less about the causes the organization was founded on, saying that civil rights issues would sell well to “gullible” liberals, according to the essay. Those bigots being conservatives who disagree with their support of the LGBT progressive agenda and taxpayer-paid benefits for illegal immigrants. Moser also stated that all SPLC employees know what is really going on there. “We were part of the con, and we knew it,” Moser wrote in his New Yorker essay. They receive millions from big tech companies, left-wing corporations, and private donors who buy into their war against conservatives who want to uphold traditional values. For now, the SPLC is working to save face with their liberal supporters – to continue to pretend they stand for causes that top executives have been fired for violating. In typical radical progressive fashion, they believe that a separate set of rules should apply to them, while they continue to blame innocent conservative organizations as a marketing tool. The hypocrisy may be typical of the left, but perhaps the SPLC is finally about to suffer the consequences of its false mission. Employees are angry, its management structure is crumbling, and before too long, the nation will catch on to the truth. What do you think of the hypocrisy of the SPLC in claiming to fight for minorities while their top execs are being accused of racism and sexual harassment? Leave us your comments.